UPDATE: Science Building is officially closed for the Spring 2014 semester, according to an email from Ellen Griffin as of Jan. 22, 2014. Mercury, asbestos and lead have been discovered in the building. Chemical testing revealed the environmental hazards detected in the Science building last week includes unconfined mercury, according to school officials. 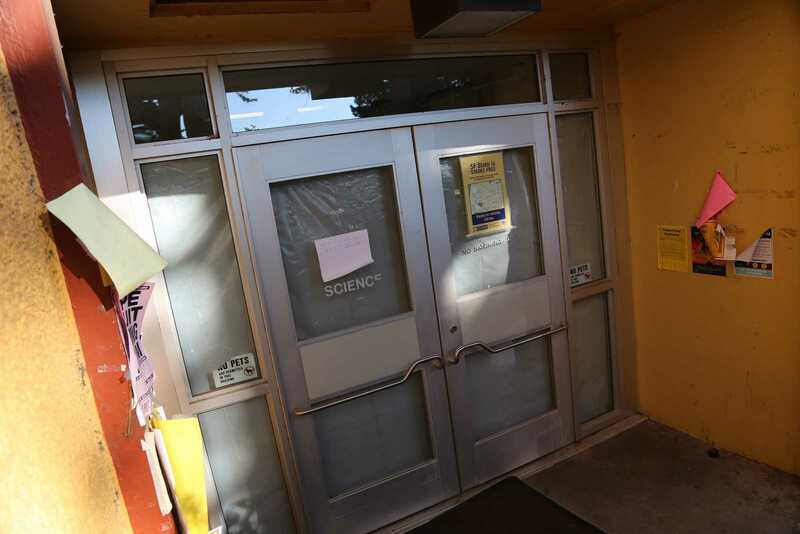 In a statement issued Monday, Jan. 13, SF State President Leslie E. Wong said his office is currently working to ensure that the Science building will be safe to occupy by the beginning of the semester Jan. 27. The Science building has been closed since Friday. Wong stated that his team has begun “very serious planning” on the chance that the building is not deemed safe, but did not offer more details other than it could result in the building’s closure for the entire semester. “I hope you understand the action to close the building is motivated entirely out of your safety,” said Wong. The mercury vapors were found in the building’s basement as part of a routine environmental health evaluation. The basement was locked after the discovery to prevent further contact with toxins until the area could be cleaned. Officials from Air and Water Sciences, an independent environmental consulting firm based in Petaluma that conducted the testing, said that mercury was not found in the ambient area of the building, but instead contained to only a few areas including sink drains. Tests for the presence of deteriorated materials such as lead-based paint and asbestos were also conducted, but the administration is still waiting on further results. More information is expected to be available by next week. well quick ! scoop that crap up and put it in someones teeth or inject it directly into a newborn so it will be safe !! !